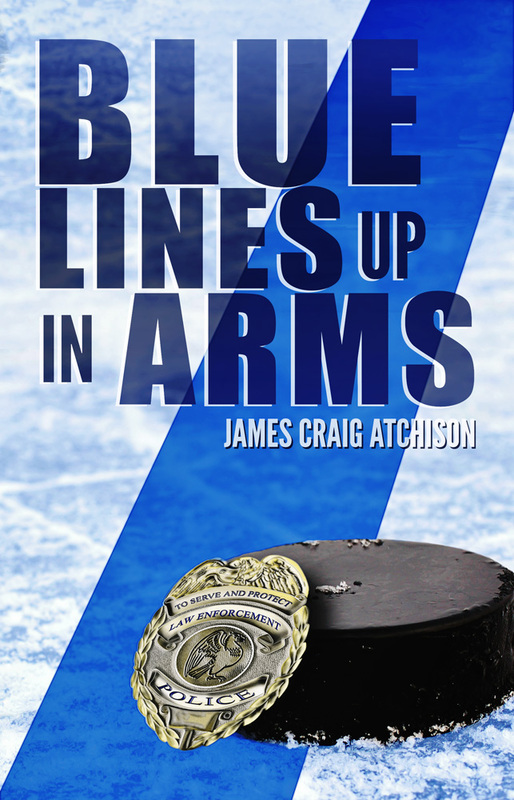 MECHANICSBURG, Pa. — Sunbury Press has released Blue Lines Up In Arms, James Craig Atchison’s first novel, a detective thriller woven into a professional hockey setting. Sent down nine-year National Hockey League veteran and well-known fox hunter Wavy Ray Beck, and Monica Reedy, the only female detective on the city force, are an unusual and engaging pair of crime fighters. And all is fair in both love and war as they work together to stop an international crime wave bleeding into everyday Pennsylvania. While Ray searches for a path back to the Stanley Cup Play Offs, Detective Reedy’s search for a downtown window smasher leads the two of them to discover an enterprising high-tech car-theft ring as well as an underground gambling ring, both being orchestrated by an old world crime family rooted in Brooklyn. The underhanded takeover of a local coal company, plus a disarming real estate gambit, also adds to this story of history, mystery, danger, and chaos. The puck drops here. Enjoy! The moon was a celestial banana. Visibility above a hundred feet was zero until interrupted by a star. A yellow haze surrounded each streetlight straining to cast vision for anything alive at three-thirty AM. It was early April with moisture in the air. Silence was in charge. This wasn’t a very big one so the sound wouldn’t travel far. But it would be heard a long way. Now it stood with winter salt still visible in streaks. FOR LEASE resting in its middle was tattered. The rusted sign above said The Watering Hole. It would be tonight’s sacrifice and tomorrow’s news. There were brethren yet to come. And more parts to the puzzle. In a visceral way this was actually fun. And necessary. If the dream is to come true, dreams of others must not. The brick was jagged on one side. A dribble of mortar gripped a corner. But it would sail as directed and arrive as planned on the hyphen between Nichols and Deering. Glass rained as a heavy whoosh of stale air escaped its former coffin of a scarred floor and bare walls.